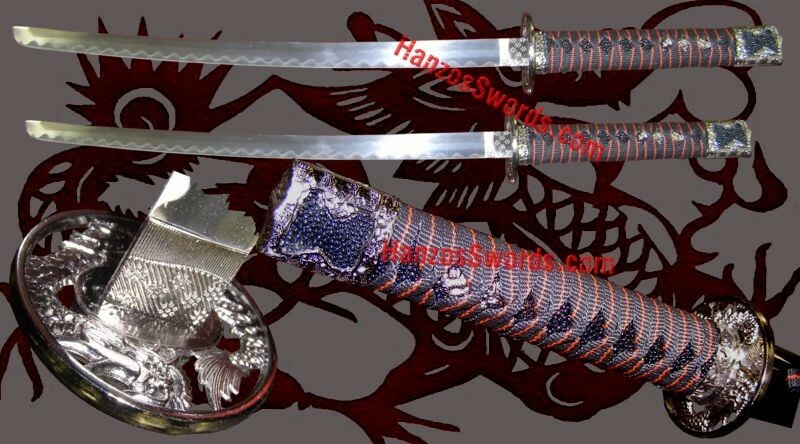 Here is a unique sword set containing one Katana, one Wakizashi, and one FREE 2 piece sword stand. The scabbards are hand painted on the end with gray lines. 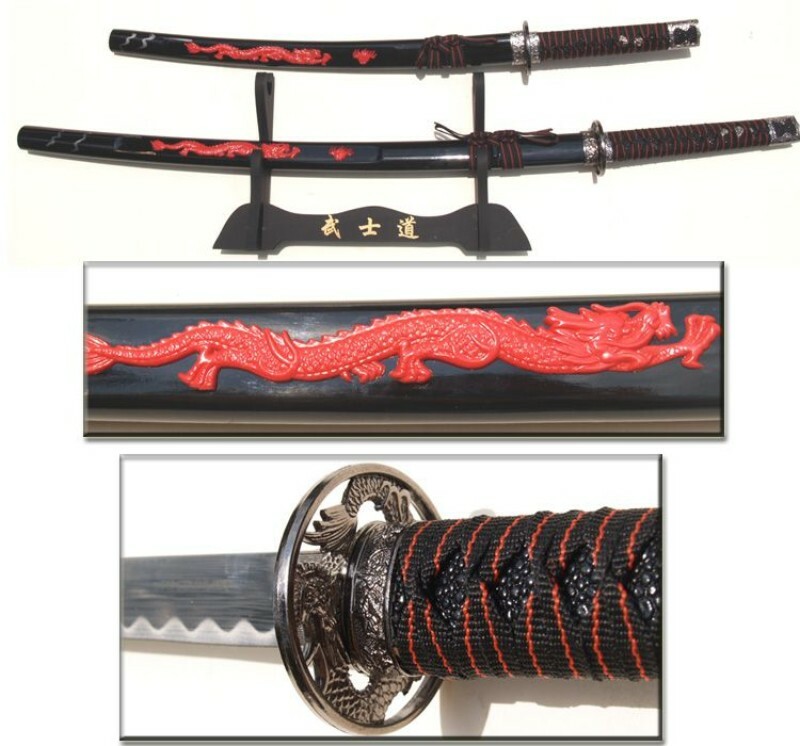 The dragon ornaments on the scabbard are hand assembled onto the saya's (scabbards). Each ornament is hand set on the saya itself. The handles are wrapped in black cloth with a red ribbon strand. The tsuba and end cap are metal and intricately detailed. The stainless steel blades have a visible hamon and are sharpened. 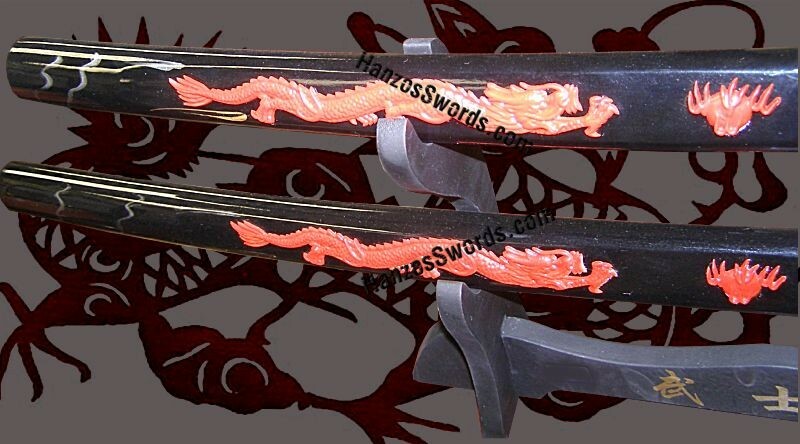 We will send you a free 2 piece stand with this samurai sword set. Please note that the stand may vary from the picture.